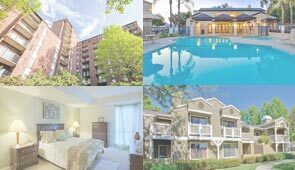 Are you looking for good apartments in Houston Metro area? Finding that perfect apartment for rent in Houston or anywhere, as a matter of fact, might be a challenging task. Have no fear, Houston Apartments is here to help you find the right apartment that best fits your needs and lifestyle. Houston Apartments provides a FREE service for individuals, couples, families, and anyone who are seeking houston apartments, condo, or house for rent in the Houston metro area. As one of the fastest growing metropolitan areas in the United States, Houston apartments offer its prospective renter's a wide range of living spaces to choose from. No matter what you're looking for, whether it's a fancy loft, a spacious 3-bedroom apartment, or a spiffy studio, we guarantee that you'll find the cheapest Houston apartment available for rent right here on this site. Whether you want an Houston skyline view with great access to restaurants and entertainment or you prefer a quiet, lakeview suburban oasis in one of our exciting metro counties, we can find the perfect apartment home for your needs. From limited budgets to upscale loft living, we have something to fit your idea of home. Whatever you need, we can provide it! Houston Apartments offers a free search service, which will free you up to explore all that the Houston area has to offer. You won't have to look anywhere else to search for Houston apartments because we offer a large selection of apartments to choose from at your discretion! They are there for you to conduct your own research because no one knows exactly what apartment is best for you more than yourself, right? Houston Apartments provides free apartment search with special offers and visual rental listings of houston apartments in the Houston Metro area. Happy hunting!